Are you looking for superb Bi-Fold Doors in Rochester and across Kent? We have a fantastic range for you, allowing you connect home and garden together. We offer a beautiful range of Bi-Fold Doors for your property, supplying to a range of homes in Rochester, Maidstone, Lenham, Ashford and other areas across Kent. Choose First Glaze for your Bi-Fold Doors today, to open up your Kent home with fantastic security and cost-effective benefits. View our superb range of Bi-Fold Doors for a beautiful way to open up your Kent property. With a variety of fold-configurations and styles from 2-7 panels, we can tailor your new Bi-Fold Doors to complement your Kent property perfectly. Make a statement on your property with a beautiful set of Bi-Fold Doors, using slim outer frames on the state-of-the-art uPVC Liniar profile to ensure up to 90% of the aperture remains unobstructed. This will allow natural light to flood into your Rochester home! You can easily open up your living space with our stunning range of uPVC Bi-Fold Doors. Add multiple leafs and choose specific style configuration to suit your home and requirements. 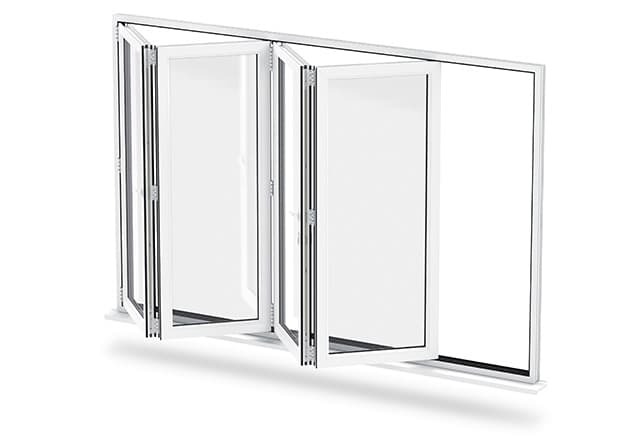 Bi-Fold Doors can open from either left to right or vice versa, and can also enable you to keep multiple sections open at one time – combining the benefits of both uPVC Patio Doors and uPVC French Doors. 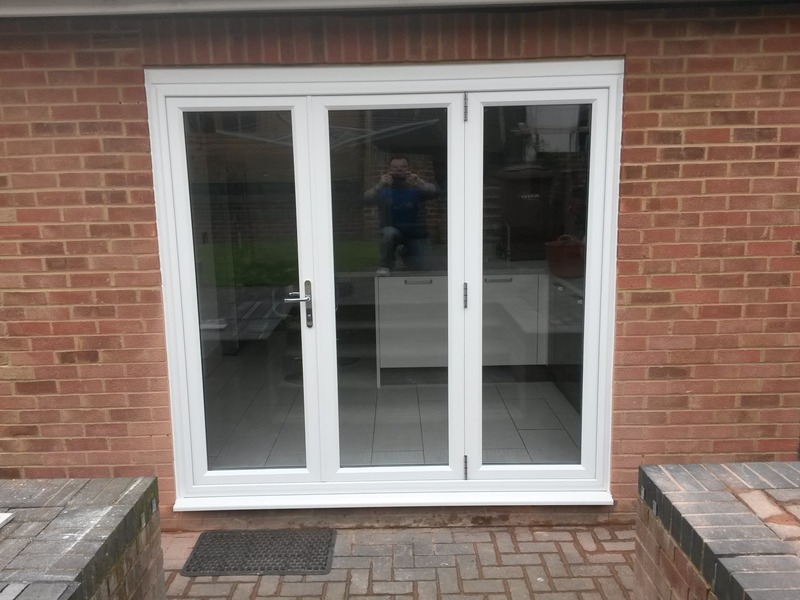 Are you looking for Bi-Fold Doors in the Kent area, but have concerns about the price? 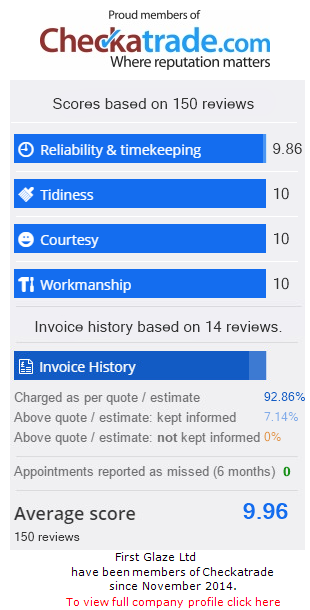 There’s no need to worry, as here at First Glaze we price our double glazed doors very competitively. There’s also no doubt that a beautiful set of Bi-Fold Doors will add significant value to your Kent property. Prospective buyers love to see double glazed doors that are unique – Bi-Fold Doors are a fantastic investment for the future. Looking for Bi-Fold Doors that have easy-access properties? Here at First Glaze, our priority is accommodating all customers, which is why we’ve included a range of threshold options for our stunning Bi-Fold Doors. We offer an aluminium 24mm low threshold option, which is perfect for pushchairs and wheelchairs – plus an optional wheelchair ramp is available with all of our Bi-Fold Door styles. Looking for competitive Bi-Fold Doors prices? 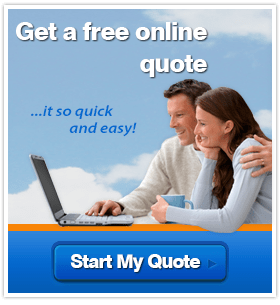 Contact us for more information, or start your online quotation today!